Slide Anything PRO allows you to create image, video, HTML and shortcode popups for your existing Slide Anything sliders. Each purchase of Slide Anything PRO can only be used on a single site, and there is NO Expiry Date for each license purchased. 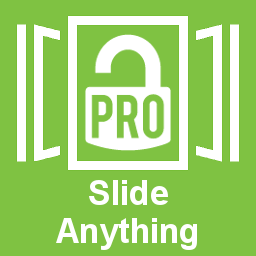 After purchasing Slide Anything PRO, you will be emailed a download link, a license activation key and installation instructions. With Slide Anything PRO each slide can now open a MODAL POPUP, which can be an IMAGE popup, a VIDEO EMBED popup (YouTube/Vimeo), a popup containing HTML CODE or a popup displaying a WordPress SHORTCODE. Each Slide Anything PRO Single-Site license purchased can only be used on a single site, and there is NO Expiry Date for each license purchased. After purchasing Slide Anything PRO, you will be emailed a download link, a license activation key and installation instructions. For further information on how to install, activate and use Slide Anything PRO, click HERE.